Located in the New Mexico region, Williamsburg is a town and its area, population and various key information is listed below. For all your administrative procedures, you can go to the city hall Williamsburg at the address and times indicated on this page or contact the town hall’s reception by phone or by email depending on your preference or the information available. Williamsburg satellite image: Williamsburg town from the sky! Conveniently located off Interstate 25, this Williamsburg, New Mexico motel offers free Wi-Fi and rooms with kitchenettes. It is within walking distance to Rio Grande River access. Boasting spa therapy services, outdoor private mineral tubs and hot springs baths, this motel is just a half-mile from Truth or Consequences Airport. It offers guest rooms with kitchenettes and free Wi-Fi. Just 4 miles from Elephant Butte Reservoir, this Truth or Consequences motel is conveniently located off of Highway 25. Free Wi-Fi is included in all rooms. Los Arcos Steak & Lobster is 2 minutes’ walk away. 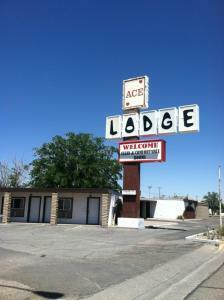 This motel in Truth or Consequences, New Mexico is located 15 minutes from Elephant Butte Lake State Park. The Motel 6 offers free Wi-Fi, a business center and free parking. Located off I-25B, just 10 minutes’ drive from Elephant Butte Lake State Park, this Truth Or Consequences hotel features free Wi-Fi, daily breakfast buffet and an indoor heated swimming pool.